The editor of the www.eurobuildcee.com website is ‘Eurocee spółka z ograniczoną odpowiedzialnością’ with its registered office in Warsaw (02-972), ul. Sarmacka 13/92, which is entered in the Register of Entrepreneurs kept by the District Court for the capital city of Warsaw, 13th Commercial Department of the National Court Register, under the number KRS 0000391464, NIP: 951-23-44-919, Regon: 143186933.
eurobuildcee.com is an Internet website hereinafter referred to as the website which stores contents (text, pictures, graphics, charts, video materials, multimedia, etc.) regarding commercial real estate in Central and Eastern Europe as well as provides advertising services. Service Provider – owner of the www.eurobuildcee.com website i.e. Eurocee sp. z o.o. User – any person who uses the website and the services available in any way. Partner – any entity which cooperates with Eurocee sp. z o.o. on the basis of an appropriate contract. 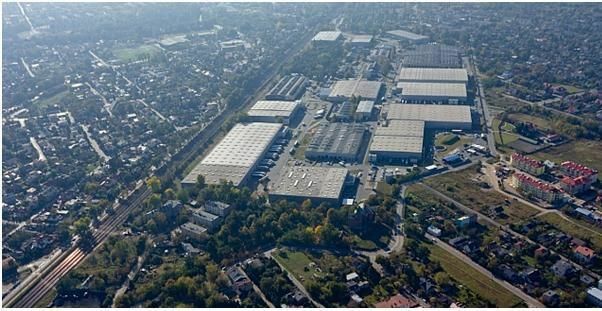 All rights to the contents of the official www.eurobuildcee.com website which belongs to Eurocee sp. z o.o. are reserved. Users have the right to download and print whole pages or parts of the portal provided they do not infringe the copyrights, the press law or the rights regarding the registration of the trademarks that belong to Eurocee sp. z o.o. No part of the website can be wholly or partly reproduced for commercial purposes, transmitted electronically or otherwise modified, linked or used without prior consent of Eurocee sp. z o.o. If third parties are entitled to the aforementioned rights, Eurocee sp. z o.o. 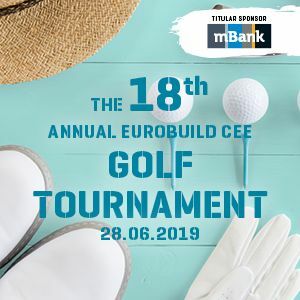 publishes the materials, trademarks and databases on the www.eurobuildcee.com website based on relevant agreements with these persons, in particular licensing agreements and contracts for the transfer of copyrights or under appropriate provisions of the law. The website may contain links to other ‘www’ sites, which are owned and operated by website’s partners. Eurocee sp. o.o. is not responsible for the contents or availability of the information, which the links on the www.eurobuildcee.com website lead to. - The user undertakes not to infringe the laws, in particular the co copyrights and the property of third parties. - Eurocee sp. z o.o. ensures the continuity of the website’s operations. In the event of an abnormality in the system, the client can file a complaint. - Eurocee sp. z o.o. and its editors do not accept any responsibility for the published advertisements or the messages they carry. - Eurocee sp. z o.o. is not responsible for the contents of comments posted regarding its texts or the contents of user entries in the discussion forum and reserves the right to remove comments that are unlawful, vulgar and others that breach the fundamental rules of social interaction and/or are inconsistent with the rules of the service. Eurocee sp. z o.o. reserves the right to moderate and edit the content of comments and entries. Cookies (small text files sent by the server and stored on the user’s device) may be applied when using the www.eurobuildcee.com website. Cookies are essential for the provision of services by Eurocee sp. z o.o. in order to deliver the contents that users are mostly interested in and for statistical purposes. Overall statistical reports are developed in certain cases on the basis of the information obtained, which will not be disclosed to third parties. They usually include information about the website traffic. These reports, however, do not contain any personally identifiable data of individual users of the www.eurobuildcee.com website. Respecting the right to privacy, Eurocee sp. z o.o. hereby declares that it does not collect any data obtained through user registration, which could be considered personal data within the meaning of Art. 6 of the Act of the 29th of August 1997 on the personal data protection (consolidated text, Journal of Laws of 2002, No. 101, Item 926, as amended) and would allow for the identification of the user. Eurocee sp o.o. provides portal readers with services that require registration of a user account, including a daily newsletter, access to the archive and the discussion forum (comments). User data collected during the registration are not shared by Eurocee sp. z o.o. with third parties. Eurocee sp. z o.o. provides portal users with the ability to view their data and correct them. In addition, the data can be removed at any time from the database at the request of the user. You may also subscribe or unsubscribe from the newsletter and/or other services that require registration at any time. Users who have any questions about this privacy protection statement, the practices of this website or the ways of keeping in touch with the site are requested to send their comments to: eurobuild@eurobuildcee.com.